Noises in your attic? 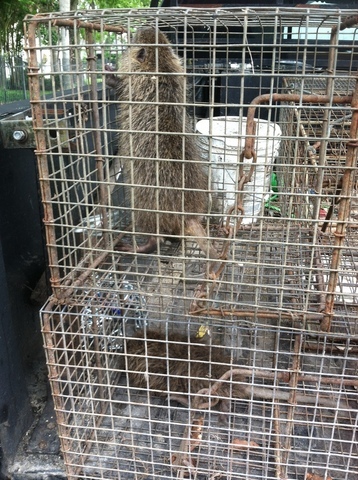 Are Nutria tearing up the ponds at your Golf Course? 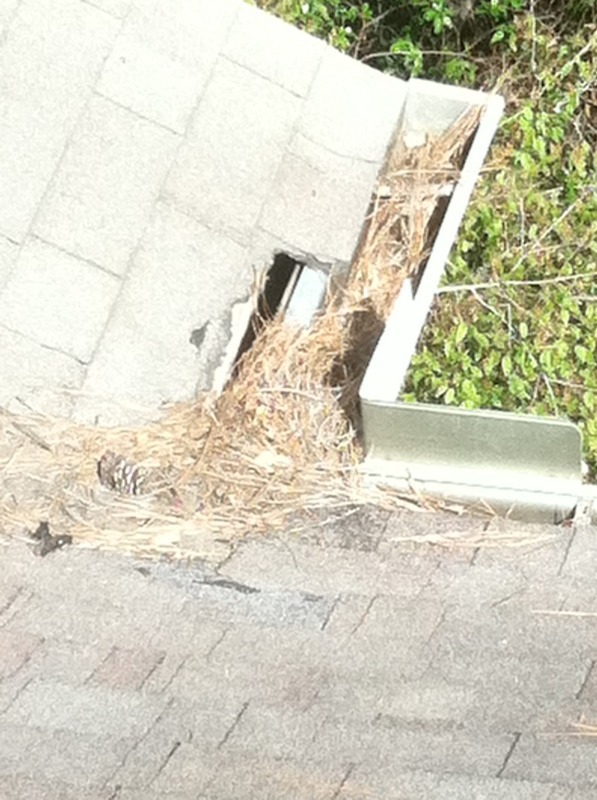 Raccoons raiding the dumpsters? We can help! 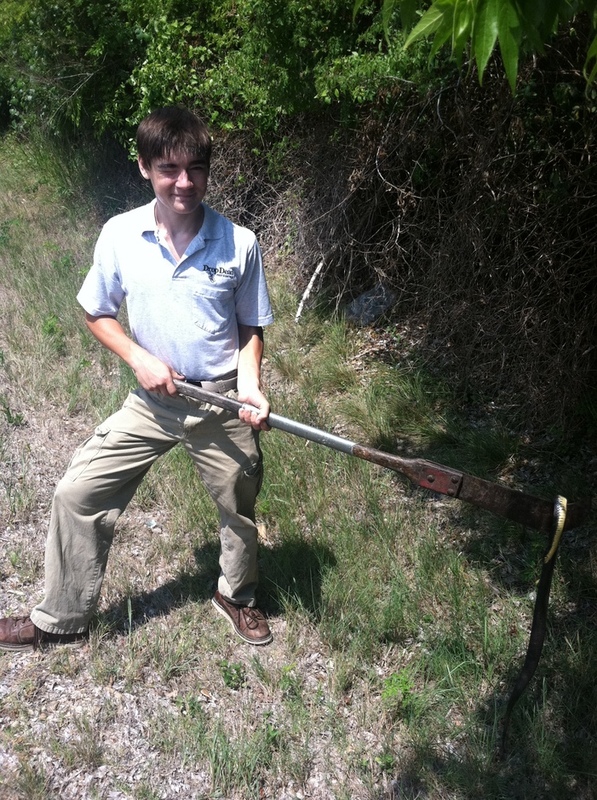 Texas Licensed Trapper on staff with years of trapping knowledge and skills. *​HUMANE, LEGAL TRAPPING METHODS, DISCRETE!​ Licensed and Insured for your protection. Pricing to fit your budget​​​, weekly flat rate or per animal fee available. 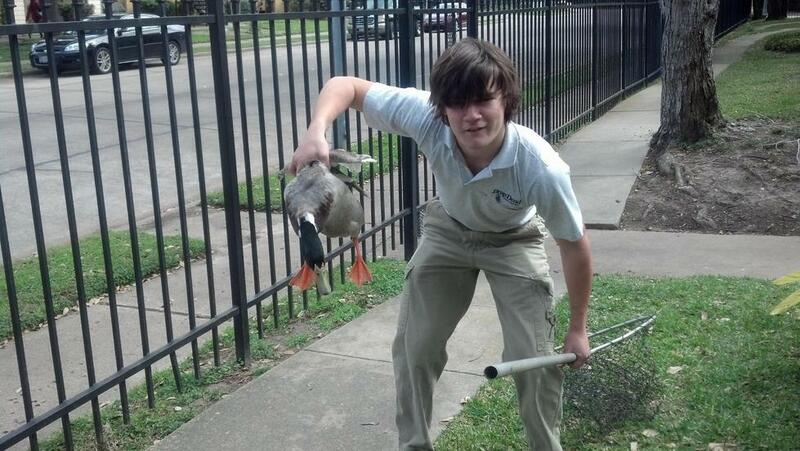 Got a pond overrun with nuisance ducks? 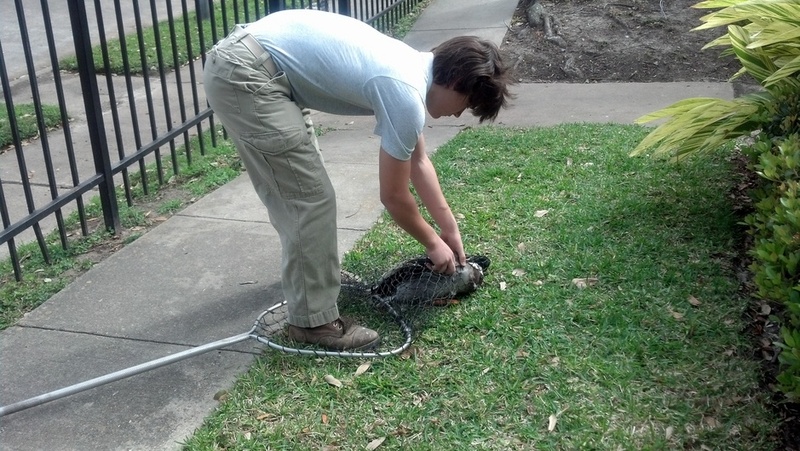 We trap and remove ducks and geese from apartments and private ponds. POISONOUS SNAKES! We never know what we are going to run into when we show up on a service call. This water moccasin was curled up in our customer's garage! Call today to inquire about our different treatment options. Our special repellant treatment can be more economical and more efficient at removing the nuisance animals without the need to set traps! Safe and non-toxic animal repellants. We can also treat for FLEAS and parasites. Dumpster diving raccoons? Whether you have 1 or 100, we can handle the removal using humane live traps always placed in protective trap boxes to provide shade and keep residents from releasing them or being harmed by what we catch. 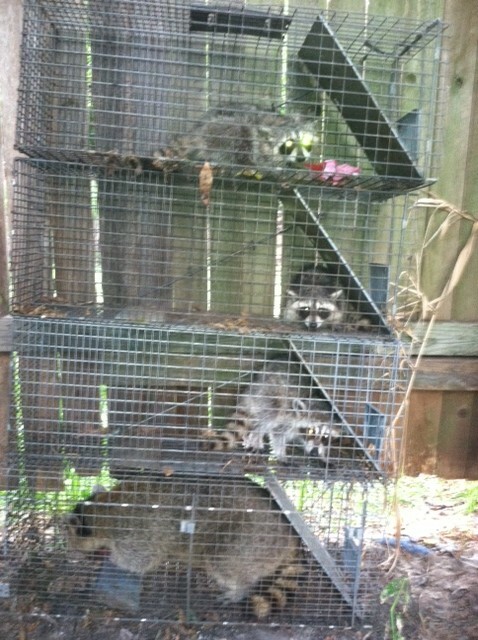 The raccoons can rest comfortably with a full belly until we come to get them. 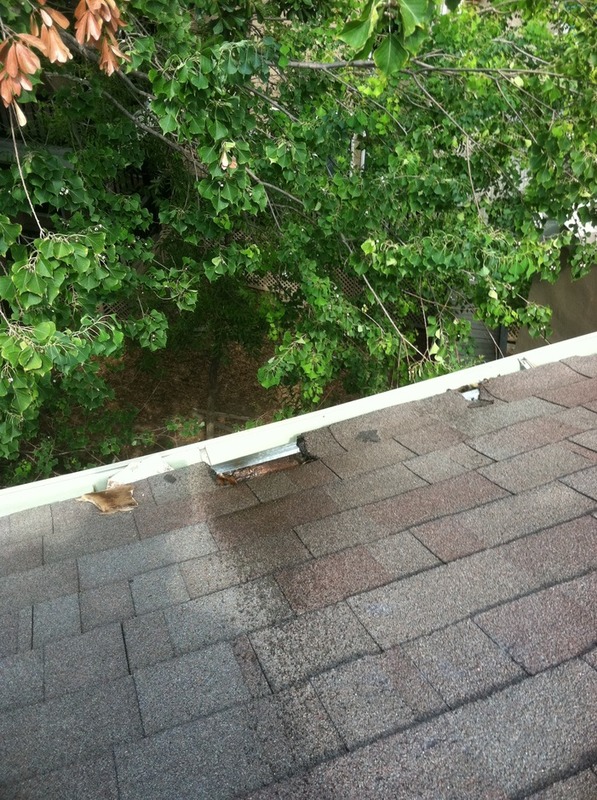 Ask about our Organic SNAKE repellant treatment which encourages snakes to leave the area. Non-Toxic and safe to use near fish ponds and lakes. Noises in your attic? Scratching or running noises? Growling? Let us investigate!